The Second City will bring diverse new voices to the forefront of the comedy world with a series of events June 6 - 9, 2018. 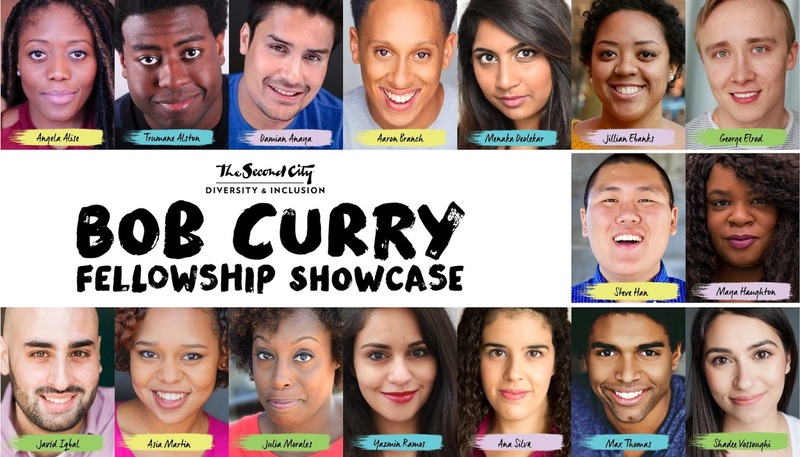 The weekend kicks off with the 5th annual Bob Curry Fellowship Showcase, featuring 16 of the best and brightest new voices in comedy. 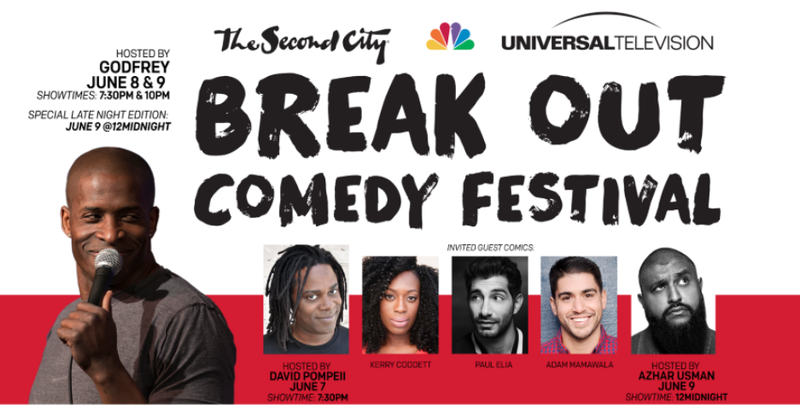 The 4th annual NBCUniversal Second City Break Out Comedy Festival, which spotlights rising talent from across the country, will be hosted by incomparable comic Godfrey (Comedy Central, VH1, BET), Second City alumnus David Pompeii (Comedy Central, Key and Peele) and special guest Azhar Usman (Comedy Cellar of NY). The 2018 Bob Curry Fellows are: Angela Alise, Trumane Alston, Damian Anaya, Aaron Branch, Menaka Delekar, Jillian Ebanks, George Elrod, Steve Han, Maya Haughton, Jarid Igbal, Asia Martin, Julia Morales, Yazmin Ramos, Ana Silva, Max Thomas and Shadee Vossonghi. Back for its fourth year, this dynamic partnership with NBCUniversal and Second City will again showcase some of the hottest emerging and seasoned diverse comedic acts in stand-up, sketch and improv from around the country. This year’s Break Out Comedy Festival includes hosts Godfrey (Comedy Central, VH1, BET), David Pompeii (Comedy Central, Key and Peele), Azhar Usman (Comedy Cellar of NY) and a lineup of Chicago favorites and emerging comedic acts. On Thursday, June 7, veteran Chicago stand-up comics Calvin Evans and Alex Kumin will perform, along with up-and-coming new talent. Friday, June 8 and Saturday, June 9 performances will include New York-based comics Paul Elia (Conan), Adam Mamawala (Funny or Die’s Top 30 Under 30 Comedians to Watch) and Kerry Codett (BET’s The Rundown with Robin Thede), Toronto-based comedian Carol Zoccoli and newcomer Max Desolhn from Seattle. All shows will also feature select graduates of the Bob Curry Fellowship Program.